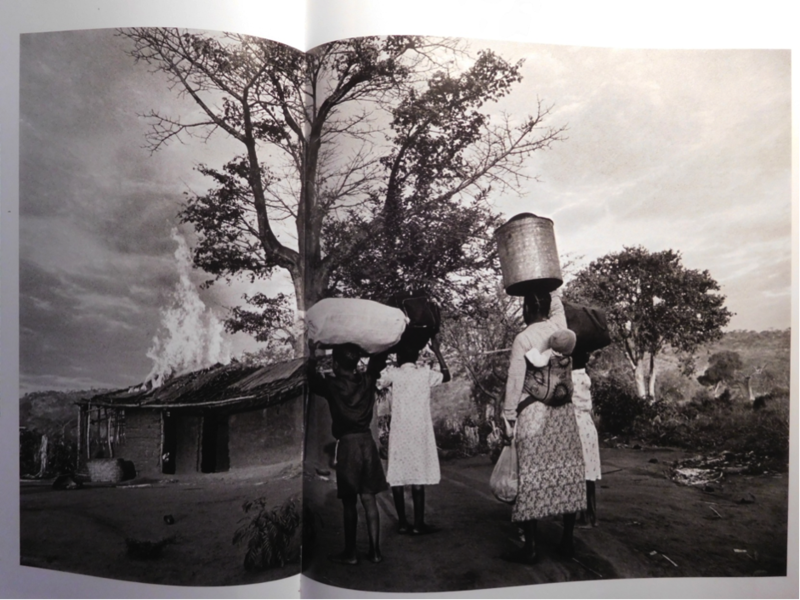 Poem inspired by a photograph by Sebastião Salgado, in which a woman with her children watch their own house go up in flames. During the years of the war of independence in Mozambique, many sought exile in the neighbouring country of Malawi. However, when they were allowed to return, they set fire to their houses in Malawi, as a symbol of their determination to return to Mozambique. nor is it a gesture of anger. to future desires of return. We make ourselves homeless to go back home. Only thus the cell dissipates. Only thus the knot unties. We leave no harbour behind. Emptying the ground is the first step. Emptying the ground of a house already empty. scattered scree from our homeland. May this land we leave be reborn. Some people exorcise the dead. We exorcise the people we were. may this past from our souls be erased. this land, this stumbling, this time. Malawi for us is no more. But does our Mozambique still exist?